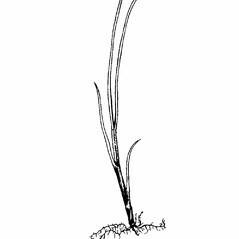 Chair-maker's bulrush occurs in North, Central and South America, but in New England it is restricted to brackish marshes in Connecticut, Massachusetts and Rhode Island. 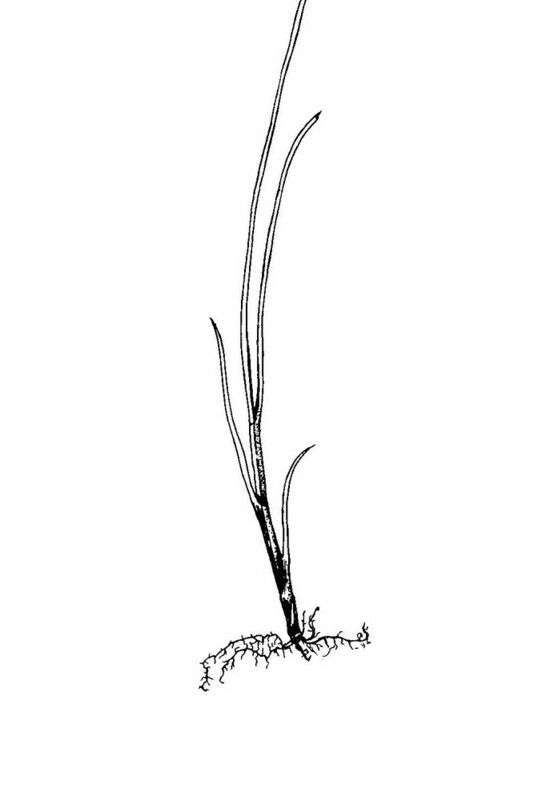 Although the roots and young shoots are edible, the dominant use of this plant was to make baskets. 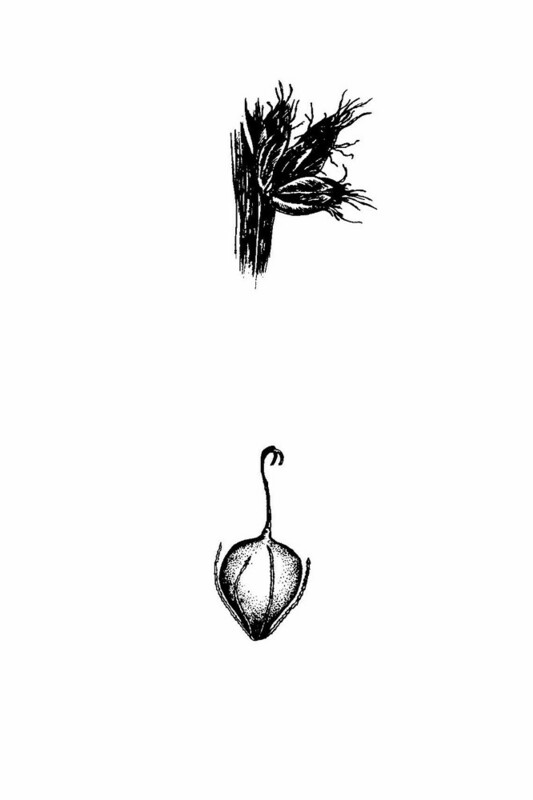 uppermost leaf with a well developed blade that is several times longer than its associated sheath and stems with flat to shallowly concave sides (vs. S. americanus, with the uppermost leaf with a short blade that is shorter than its associated sheath and stems with conspicuosly concave sides). 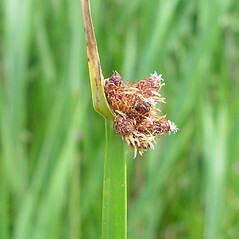 chair-maker’s bulrush. 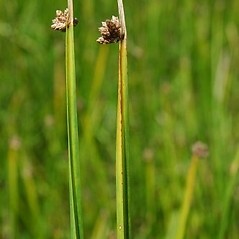 Scirpus americanus Pers. 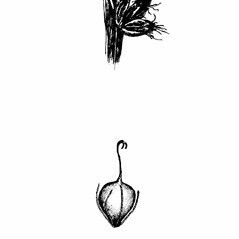 ; S. olneyi Gray • CT, MA, RI. 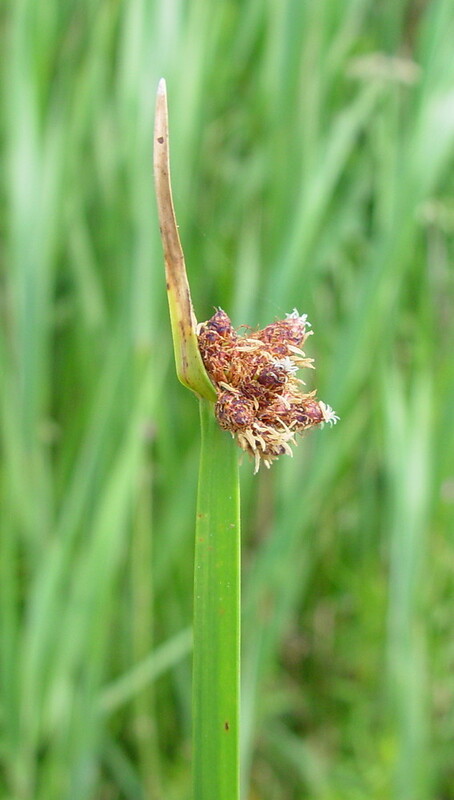 Brackish marshes. 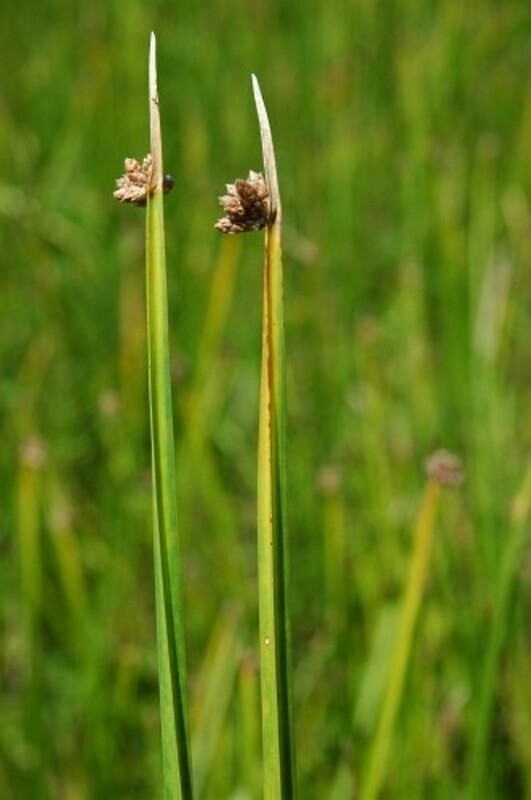 Reports of this species in ME, NH, VT in Smith (2002b) are based on putative hybrids ( Schoenoplectus ×‌contortus) and acknowledged as such by the author.